Proof is so much more than the place foodies eat before a Caps game. It’s a dining destination all on its own. The wine and food programs seem to compete for the role of the lead dancer. 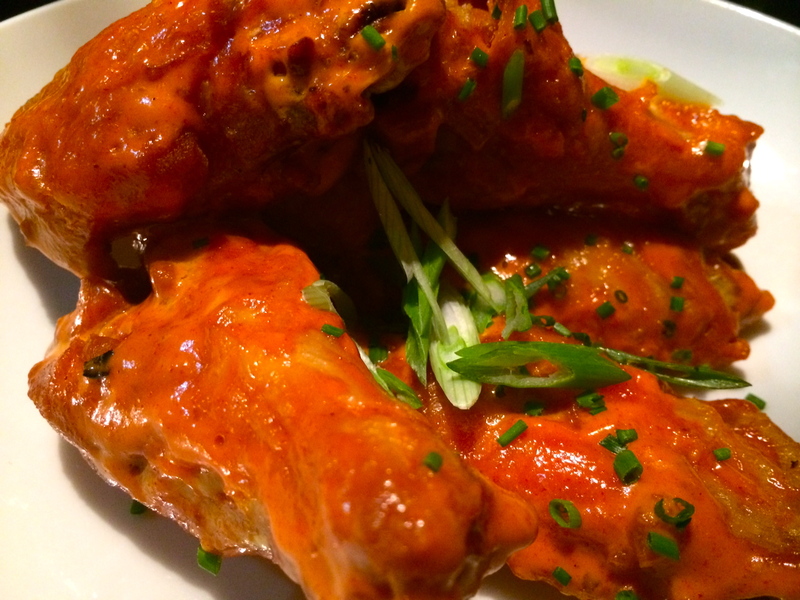 Is Proof a wine bar with food or a gastronomical, food-focused delight that has a solid wine list? Whichever you decide to be true, don’t order a beer here. It just wouldn’t be fair. We recommend an Oregon pinot from our favorite winemaker Patricia Green. Back to the food from Haidar Karoum. 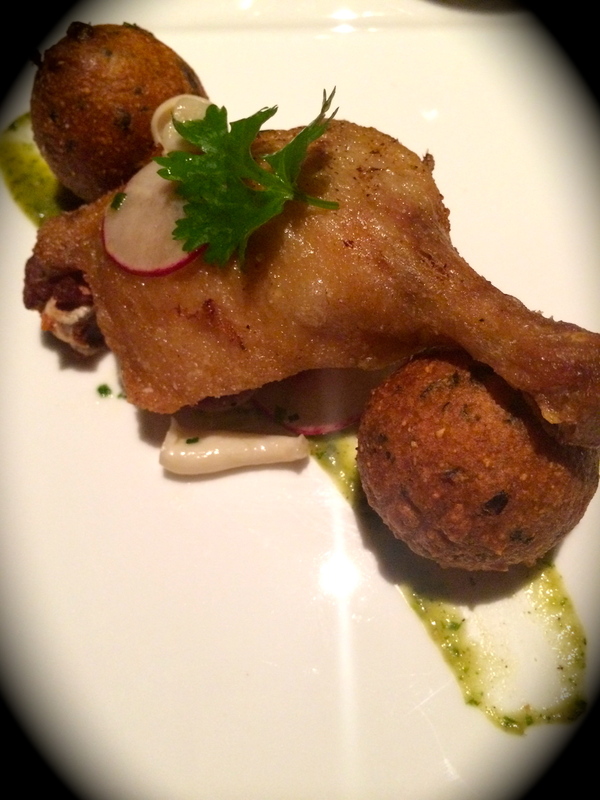 The Best Thing on the Menu: Warm Duck Confit with Scallion Hush Puppies, Pickled Beech Mushrooms and Tomatillo Salsa Verde is rich, bright and light at the same time. The tart tomatillo salsa cuts the confit – you know duck cooked in duck fat. What could be better? We’ve also never met a hush puppy we didn’t like. Some of our favorites are at Garden District and Lincoln. 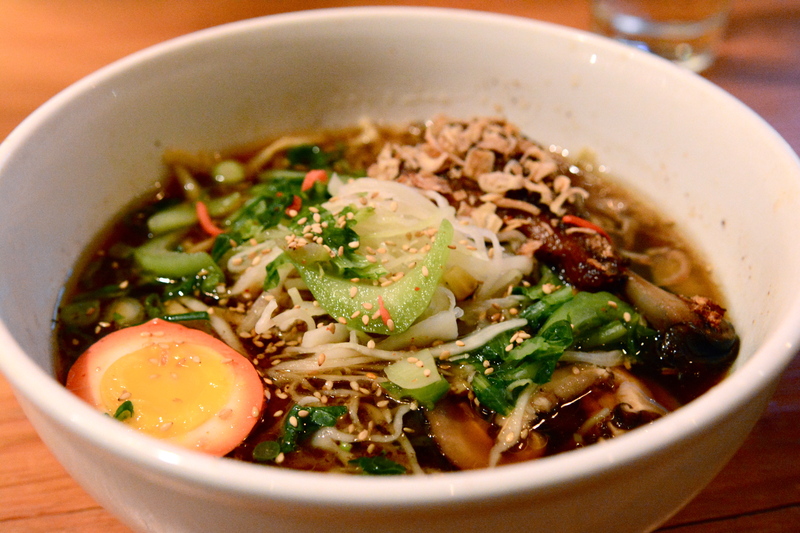 Proof’s hushies are a little on the lighter side, with very little grease and some tangy onion flavor. 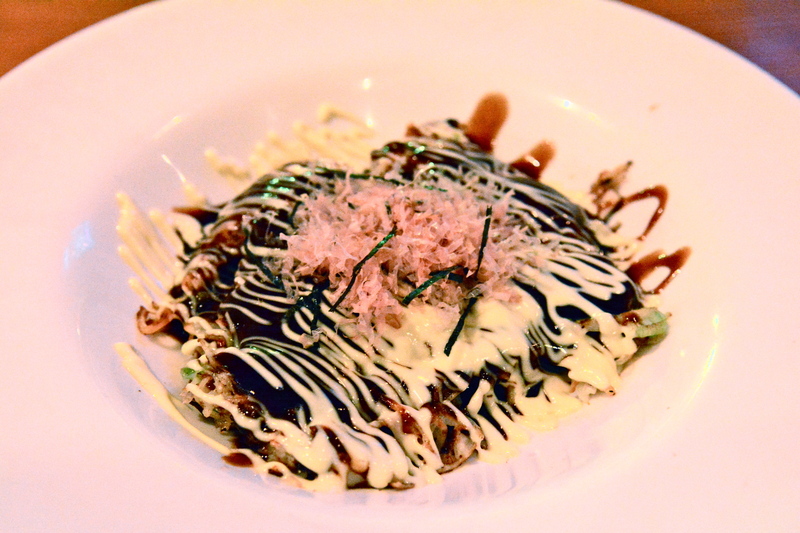 There’s another dish on the menu that made a real impression. Let’s say you’re Santa Claus fueling up for a trip around the world. Or, Rob Ryan. Or Rex Ryan pre-weight loss surgery. 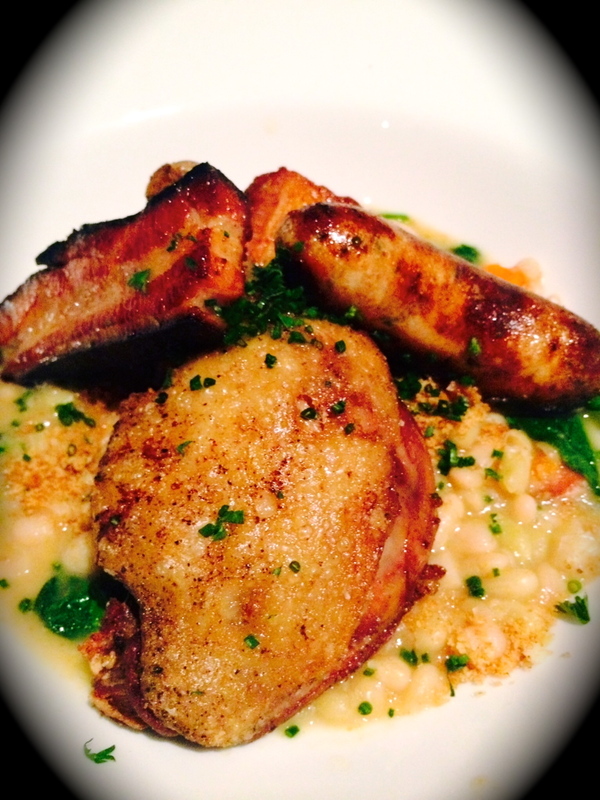 Order the Cassoulet of Duck Confit, Crispy Pork Belly & House Made Duck Sausage. The meatiest, manliest entree we’ve ever seen with a calorie count that is likely higher than the entire contents of a Cold Stone Creamery. Order it anyway. 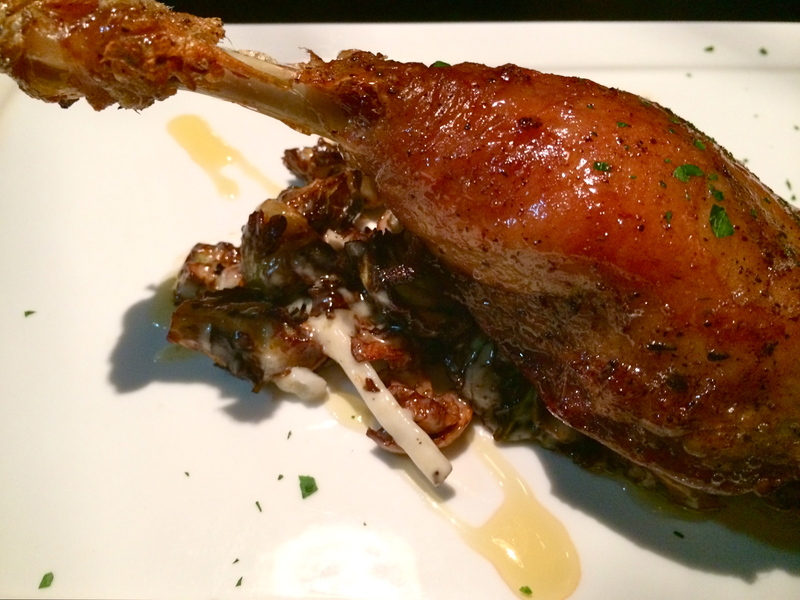 Duck confit not your BTM? Post your favorites in the comments section.